Ask any successful business owner and they’ll tell you- a huge part of their success is due to the advice of a mentor that help guide them along the way. Having a mentor is a way for you to get trusted, relatable advice from someone in your field for free. In the end, you reap a lot and risk nothing. So what’s to lose? They Know What You’re Going Through. Getting to hear from someone whose been in the game longer than you have is a great opportunity. They can offer you advice and guidance you can actually relate to. 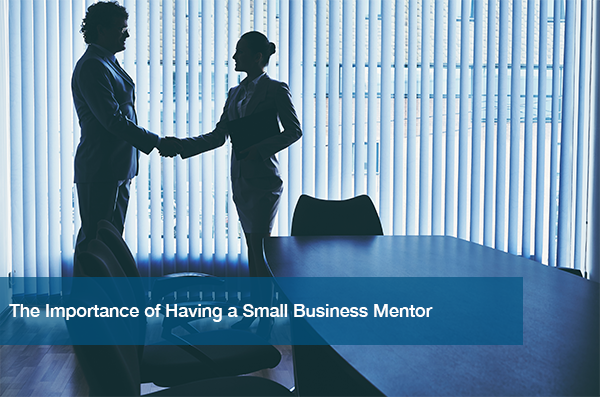 Both good and bad, a small business mentor can help you navigate through it all. Access to More Networking Opportunities. The connections your mentor will have are important. They can open doors so you can meet potential partners, employees, and customers in the market you’re aiming for. If your mentor is a prominent figure, even being in their inner circle can play a big advantage for you in the long run. Gain New Skills and Perspective. Maybe you’ve found yourself stuck on how to solve a certain issue and don’t know who to turn to for help. Well, a mentor is the perfect resource. Also, small business mentors can offer a fresh perspective and provide ideas and solutions you haven’t even thought of yet. Taking a mentor’s profound knowledge and expanding on it is the point of having a mentor in the first place. If you don’t know where or how to begin finding a proper small business mentor, it’s much easier than you think. Before beginning your search, you need to have a few things established ahead of time. First, what are your expectations? It’s important for you to have specific goals you want to set with a mentor. Additionally, you should know exactly what role you would want your mentor to play. Having a clear vision of what you want the relationship to look like will help you with your search. Now comes the fun part. Maybe you already have a family friend or coworker in mind, but don’t restrict yourself. Attend luncheons, mixers, and chambers of commerce meeting to get to know business owners like you in your community. If you’re someone who has no time to attend events, you can still find the perfect mentor online. For example, SCORE, a free small business advice hub, allows you to consult with mentors for free. Browse through mentor profiles and find someone you think would be ideal. Or, contact your local SCORE chapter to set you up with someone. Be sure to check out the blog we wrote for SCORE Austin about systemizing your business. If you have any questions about finding the right small business mentor, our CEO Eric Sanchez has the experience to help you find one. Call (512) 348 – 8324 to reach out and see what steps you should be taking to find the perfect mentor. Also, learn about how we can help your business save time and energy today, by completing a complimentary IT assessment on our website.